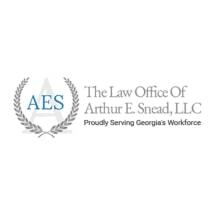 Located in Atlanta, Georgia, The Law Office of Arthur E. Snead, LLC, focuses solely on helping injured and disabled workers obtain the compensation and benefits they need to support themselves and their families. Serving the entire Atlanta metro region and the surrounding areas, attorney Arthur Snead and his law firm provide the personalized assistance and effective support our clients deserve when dealing with injuries sustained on the job. Handling all aspects of the workers' compensation process, Mr. Snead advocates strongly on behalf of those suffering from neck and back injuries, repetitive stress injuries, injuries caused by on-the-job accidents, as well as those related to construction and industrial jobs. Having experienced his own work-related injury from his earlier experience as a commercial fisherman in Alaska, Mr. Snead understands the struggles and adversities his clients face after being hurt on the job and no longer able to work. As such, he established our law firm as a way to provide the highest level of advocacy and support for those in need. A member of the workers' compensation section of the State Bar of Georgia, Mr. Snead is fully committed to his practice, and from the high level of personalized support he provides to those he serves, he has earned recognition from The National Trial Lawyers as one of the Top 40 Under 40 attorneys in Georgia for civil plaintiff representation. If you were hurt on the job and can no longer work, you can trust The Law Office of Arthur E. Snead, LLC, to help you secure your rightful compensation so that you can focus on your recovery. For more information, you can contact our law firm to schedule a free initial consultation. Mr Snead did an excellent job on my case. Everything was smooth and professional. He took the time to walk me through everything and was seemingly always available. I highly recommend his services.